Thank you for your interest in Sun Swing Media’s “A Gift for Kathryn.” Production on this exciting project is currently on hold until funding is completed. Below you’ll find brief video exerpts from the project in progress, production stills, and more information about project financing. “A Gift for Kathryn” explores the musings of a school girl’s interests in an awkward classmate’s sudden absence from school. 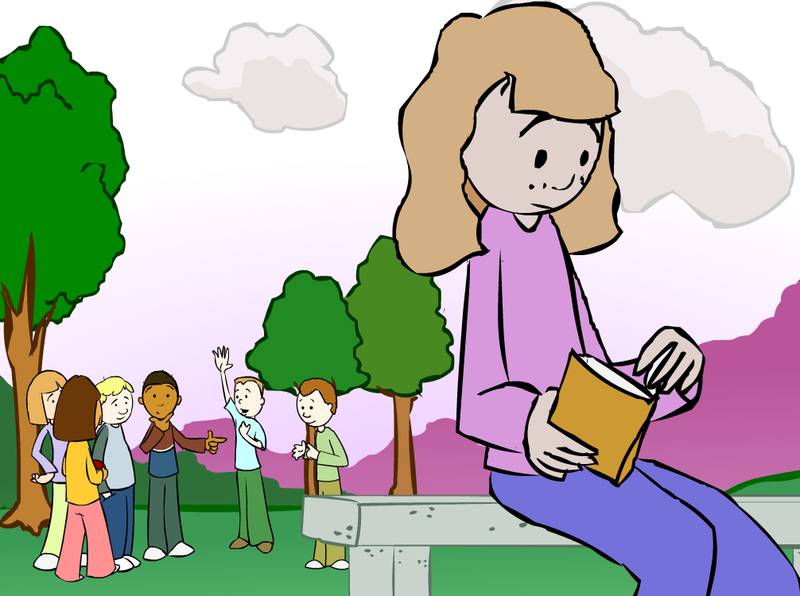 This entertaining treatment depicts the opposition and indifference of other classmates and of the main character’s peaceful determination to make a new friend. There are a total of 14 scenes in this project. Production work has been completed on scenes 1 through 6. Scenes 7 -14 are still pending final production work on the animation. Click on image for high-res copy. “You’re going the wrong way!” production still from scene 9. 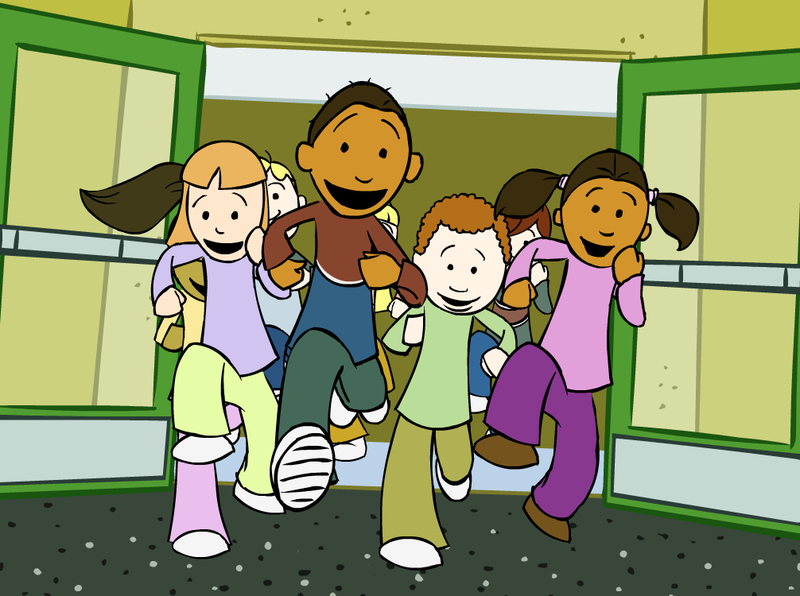 A still from scene 2 in “A Gift for Kathryn”, Kids running to recess.